La beaten earth returns one more year to the ATP calendar, or what is the same: returns the territory of Rafael Nadal. 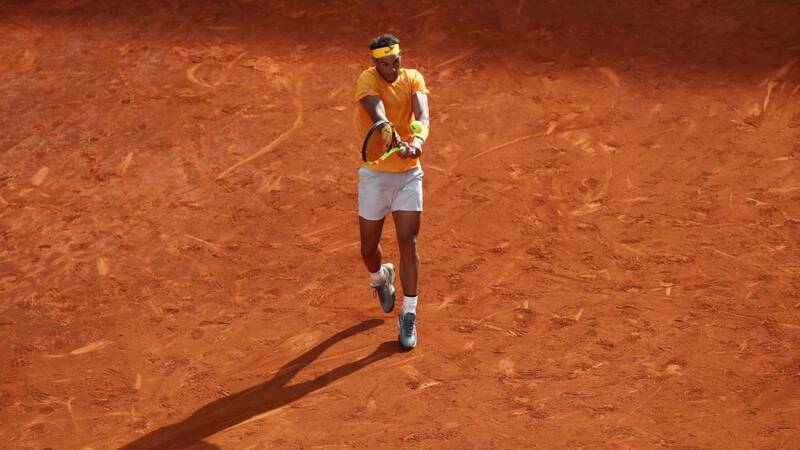 The manacorí has turned this surface into his particular playground throughout his career, in a tennis tyranny ever view on any other surface. Del Saturday 13 to Sunday 21 April, Nadal will delight the Monegasque public in the first Masters 1000 of the year on brick dust: Montecarlo. The tournament of the Principality is the Masters that more He has conquered the Manacorí on clay with a total of 11 victories. His favoritism there will be unquestionable, but beyond this record, Nadal has other records almost insurmountable on this surface. Tennis player with more land titles (57), of which 11 Roland Garros stand out (player with more Grand Slams on this surface) and 24 t Masters degrees. The sum of these large land titles is 35., the one that has won the most in history in this combination. As for the disputed finals, Nadal also presents the absolute record in Grand Slams of clay, (11, unbeaten in Roland Garros) and Masters 1000 (31) . And what to say of one of the most impressive records, not to mention insurmountable, of the king of the beaten earth. Between 2005 and 2007, the manacorí managed to chain a whopping 13 consecutive titles. This impressive run took place from the conquest of the Monte Carlo Masters to the Masters of Rome, winning in between Roland Garros, Barcelona, Bastad and Stuttgart. Obviously, This feat was used to obtain the record for the highest number of victories in a row on land (81) . Finally, two other brands achieved by Nadal that are light years ahead of their main rivals: 25 land titles without conceding a single set and the best historical percentage of victories over brick dust (92.02%) . For all these numbers and the respect it inflicts on its rivals every time it jumps to this surface, it would be something worthy of Stranger Things (the ATP corrected a promotional poster to place Nadal as the biggest ahead of Federer) that the Spaniard went empty of this tour.